The data interpretation refers to the ability of a person to correctly extract, analyze meaningful information or data from the various data sources such as charts, tables, graphs, etc. It involves different steps like data requirement, data collection, data processing & data analysis. Depending on the collected statistics and information, the individual should be able to formulate & present predictable positive outcome. This is very critical skills for the members from sales, financial, IT domain who need to prepare reports, extract data and draw analysis from the same. Data interpretation online test helps recruiters and hiring managers for data interpretation assessment of the candidate. Interview Mocha’s online data interpretation test is created & validated by experienced subject matter experts (SMEs) and is designed in a way to analyze candidates analytical and critical thinking. The data analysis & data interpretation aptitude test enables employers and recruiters to identify very high-quality candidates in the fields where one has to work with large datasets. Online data interpretation test can be taken by the candidate from anywhere in the comfort of their time zone. 1. Excellent numerical and data interpretation skills. 2. Strong analytical skills and quantitative modelling capability. 3. Strong experience in business analysis and data analysis. 4. Ability to work upon different types of chart data and extract information. Interview Mocha’s test platform helps you to easily invite candidate’s to take data interpretation online test. You can get instant results and an option to share this result with your recruiting team. Our powerful reporting helps you to analyze section wise performance of candidate to gauge his strengths and weaknesses. Features like window violation and webcam proctoring help detect cheating during the test.Data interpretation skill test may contain MCQ's(Multiple Choice Questions), MAQ's(Multiple Answer Questions), Fill in the Blanks, Descriptive, Whiteboard Questions, Audio/Video Questions, LogicBox(AI-based evaluation), Job-based Simulations, True or False Questions, etc. During the election company candidate, C refused to participate in the elections. 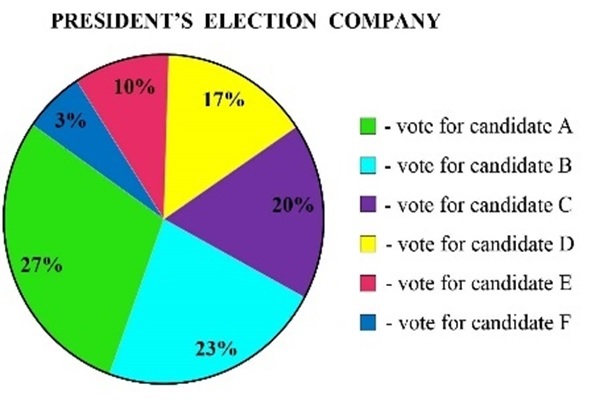 Then the votes of his voters are transferred to other candidates about the percentages the other candidates received. Which is the new percent of votes for candidate A? 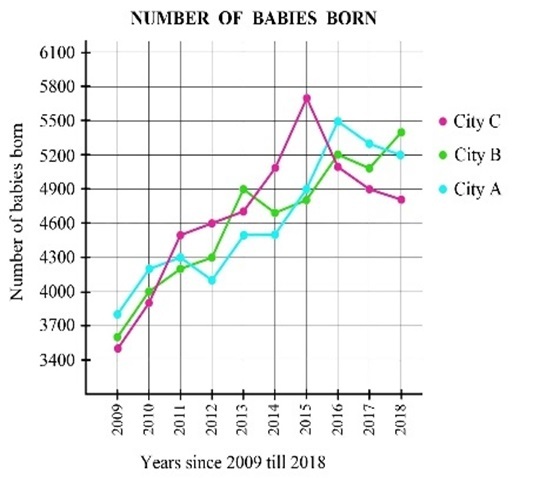 Which city has the least total increase in the number of babies born during 2010-2017 period?